Pioneer air column bag utilizes multiple, yet independent, air column to provide the highest level of product protection possible. This unique design keeps a series of highest level of product protection possible. 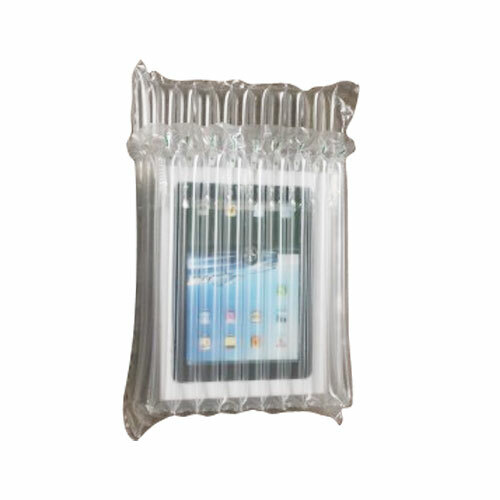 This unique design keeps a series of adjoining air columns securely inflated to cushion and protect products during shipment. These air columns are connected via series of one way valve as a result, if one air column is punctured, the others remain inflated to offer continued protection. Pioneer Air Column bag typically holds air for at least 24 months. During This period , a small amount of pressure may be lost; this will not be enough to affect the performance of the Pioneer Air Column Bag. Pioneer Air Column Packaging is based on a multilayered film and air cushion concept that has integrated independent air columns. By means of one way air flow valves for each column, the entire substrate of air columns can be inflated from single point in seconds. We use non-toxic, RoHS compliant films that have abrasion resistance and load bearing properties.